If there’s one thing almost all consumers have in common, it’s that they love their screens. They watch TV shows on their phones, tablets, notebooks and laptops. 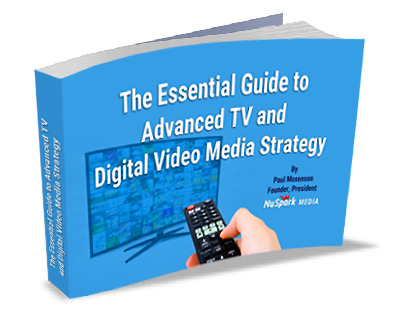 It’s not surprising that Amazon, Netflix, Hulu and YouTube now produce original video content. 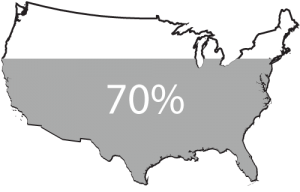 Also, it’s accepted that over 70% of the total U.S. online population watches TV, film, or video online. And as cable companies enable people to link all their devices for pause-and-resume viewing on all their screens via apps, people are watching whenever it’s convenient for them. At NuSpark Media we stay on top of the trends. Using video pre-roll allows you to create a video to run before feature content that plays on YouTube and other third-party display websites. By utilizing our ad buying platforms, we can pinpoint the demographics that are ideal for your business. Also, our creative alliances can use your existing video and create rich media presentations for high impact messaging across mobile devices. The second most popular “search engine,” YouTube reaches more 18-34 or 18-49-year-olds in the U.S. on mobile alone than any cable network. YouTube has several ad formats which we would consider for you. These include the TrueView In-Stream units that viewers see before the content and are skippable, Video Discovery ads that appear within YouTube search results, and Bumper ads designed to bolster an in-stream campaign with incremental reach, particularly on mobile. Six seconds long, these ads are non-skippable. Video ad campaigns on Facebook and Instagram are effective for direct response campaigns as the user experience lends itself to clicking through to learn more about a product or service. We’ll look at all the options to target your videos on social networks and bring you high levels of engagement and clicks. Achieving outstanding campaign performance requires the right mix of video advertising on each platform with a compelling message and call-to-action. Contact us touch_app to learn more about how we can help you expand your TV advertising and video across the web.